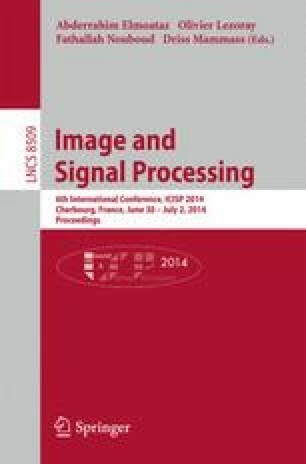 A new framework to cluster images based on Genetic Algorithms (GAs) is proposed. The image database is represented as a weighted graph where nodes correspond to images and an edge between two images exists if they are sufficiently similar. The edge weight expresses the level of similarity of the feature vectors, describing color and texture content, associated with images. The image graph is then clustered by applying a genetic algorithm that divides it in groups of nodes connected by many edges with high weight, by employing as fitness function the concept of weighted modularity. Results on a well-known image database show that the genetic approach is able to find a partitioning in groups of effectively similar images.